I’ve begun to re-read The Flashman Papers. 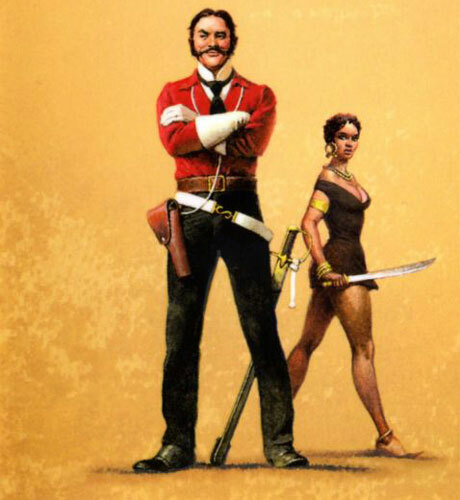 For those of you who have yet to make the discovery, this is George MacDonald Fraser’s 12-novel series documenting the life and career of the illustrious Victorian soldier Harry Paget Flashman, who describes himself as “a scoundrel, a liar, a cheat, a thief, a coward—and oh yes, a toady.” For all his political incorrectness (or, perhaps, because of it), Flashman will remain fiction’s favourite poltroon, opportunist and party boy. I am, however, writing this on Robbie Burns Day, which is when Scottish people remember The Bard, a brilliant poet now revered as an angel. Whether or not he was, he and Flashman do have a few things in common: Both loved women, both couldn’t get enough of women, and what they wrote/said about their woman would today land them in court, facing paternity suits and actions for libel, slander and anything else lawyers could cook up. Burns delighted in recording his feelings about women—all women. And he had loads of them. There were several Annes and Annas, various Jeans, Megs and Peggys. And Delia, Sylvia, Eliza, Nell, Hannah. There were several Mary’s and Mary Anne’s, a couple of Bonnie’s, plus Eppie Adair, Eppie Macnab and Polly Stewart. And Lizzie, Chloris, Phemie and Nancy. And Phillis and Leslie, Afton & Tibby. A couple of Katy’s and one Clarinda, who was (temporarily) Mistress of his soul. Burns also loved other men’s women: Lady Onlie, Mrs. Oswald, Mrs. Riddell, Montgomery’s Peggy, the Captain’s Lady and Mrs. Kemble. And there were women with whom he was on a more formal footing—Miss Burnet, Miss Davies, Miss Ainslie, Miss Fontenelle, Miss Cruickshank, Miss Ferrier, Miss Graham of Fintry, Miss Isabella Macleod and Miss Logan. There were women whose full names he didn’t manage to get although, doubtless, he loved them anyway: The Country Lass, the Bonnie Lass of Albany, Meg of the Mill, the Lass of Ballochmyle, the Lass of Ecclefechan, the Lass of Cessnock, the Lass of Inverness and the Lass That Made the Bed. He loved whole groups of women—the Belles at Mochlynn and the Lasses of Tarbolton, for example. And if he really couldn’t identify a woman, he wrote about her anyway, pointing out that she had blue eyes or brown, flowing rich, yellow or white locks, lips wet with dew and heaving breasts. Fraser died a couple of weeks ago, and will be remembered as a writer who gave his readers hours of enjoyment, through a perfectly-rendered character who romps through meticulously-researched and -recorded historical events. And now that MacDonald has left us, Flashman is gone too. His followers now sigh, and chuckle. Burns, who died in 1796 at the age of 37, left behind a rich literary legacy and inspired the great romantic poets who were to follow. (Flashman, one hopes, didn’t inspire anyone.) 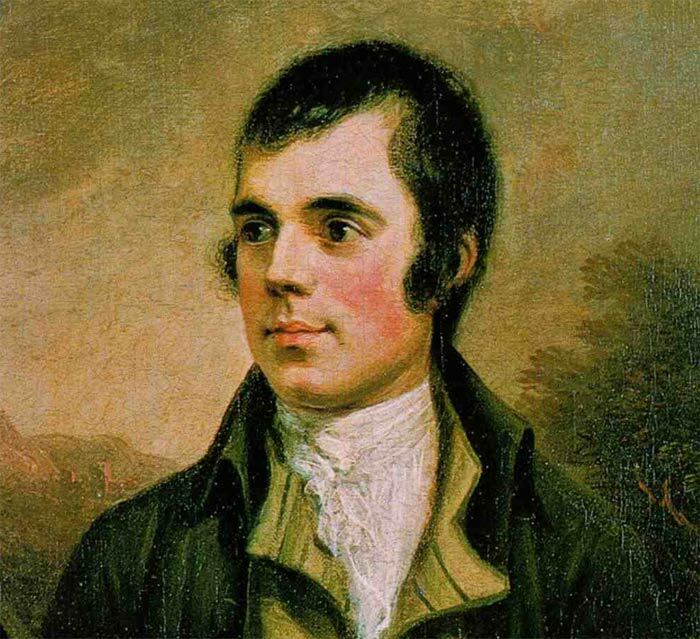 But Burns has never been allowed to leave us–you remember him every time you sing Auld Lang Syne. And, this week, wherever you are in the world, you could find yourself in the midst of a party where people are eating haggis and enjoying the bagpipes. Both men, of course, left behind enough material to drive to distraction any hard-core feminist (but she would have to hide her smile). I like them for a that. Here’s to Fraser, Flashman, Robbie and The Lassies. This entry was posted in Humour, Literature, Poetry, Fiction and tagged Auld Lang Syne, brilliant poet, Flashman, flashman papers, George MacDonald Fraser, Harry Paget Flashman, Robbie Burns Day, Robert Burns, The Bard, victorian soldier.